Sporty design in combination with outstanding aerodynamic efficiency, king-sized wheels with diameters of 21 and 22 inches, and engine tuning to up to an output of 521 kW / 709 hp and 882 Nm of torque for the twin-turbo eight-cylinder variant: NOVITEC, the world’s leading refinement specialist for the powerful cars from Maranello, now also offers an extensive customization range for the new Ferrari GTC4Lusso. The domain of NOVITEC is making the most thrilling sports cars in the world even more electrifying and special. 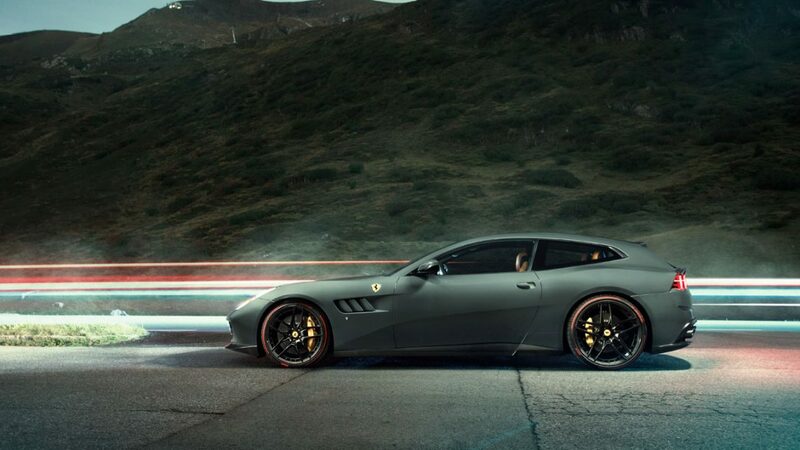 For the new Ferrari GTC4Lusso, the designers of the German refinement specialist developed aerodynamic-enhancement components with a naked carbon finish, which lend the 2+2-seater an even sportier appearance. What is more: The design not only focuses on the looks. In addition, the NOVITEC bodywork components were fine-tuned in the wind tunnel and as a result, optimize the handling stability of the Shooting Brake Coupe. 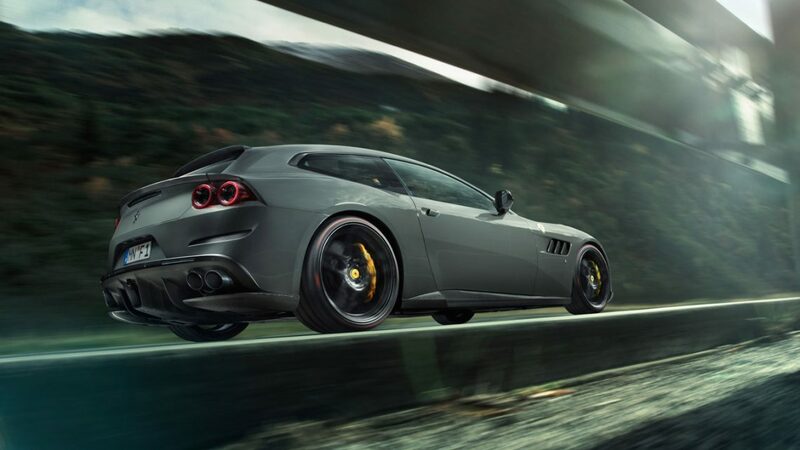 The designers modeled a three-piece NOVITEC aerodynamic upgrade to further minimize front-axle lift. It consists of two front spoilers that attach on the left and right of the bumper, and a central front blade. 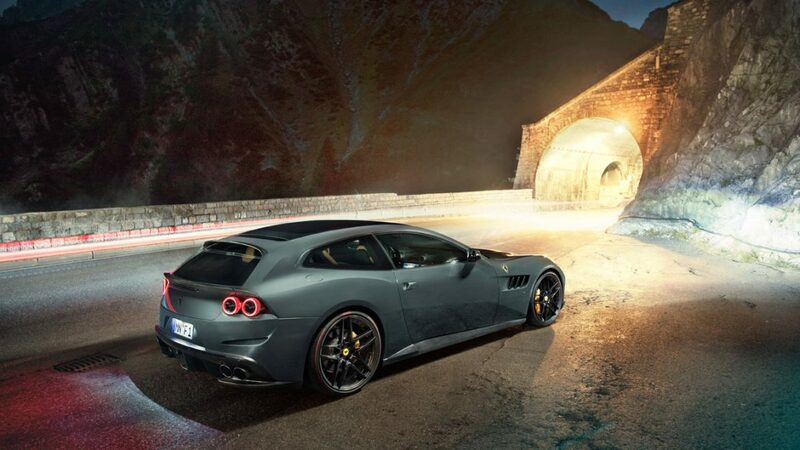 These components reduce front-axle lift at high speeds and also lend the GTC4Lusso an even more distinctive face. The new NOVITEC rocker panels calm the airflow between the front and rear wheel arches and give the car an even more muscular and sleeker appearance. The carbon covers for the door mirrors stylishly round off the side view. The NOVITEC designers also modified the rear thoroughly: The combination of roof and rear spoiler in concert with the newly designed rear diffuser optimizes the aerodynamics and gives the car an even more distinctive appearance from the rear. Of course, the wheels developed specifically for this car also play a crucial role in the thrilling looks of the Ferrari refined by NOVITEC. 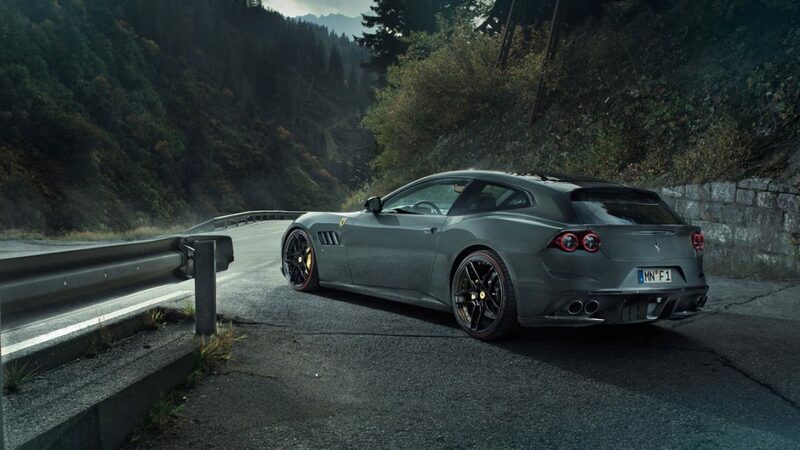 To put even more emphasis on the wedge shape of the GTC4Lusso, NOVITEC developed two tailor-made tire/wheel combinations that pair 21-inch wheels at the front with 22-inch wheels on the rear axle. The developers’ performance specifications not only called for good looks but above all for further enhanced agile handling. The NOVITEC NF4 hi-tech forged wheels, which are available in any desired color, are among the lightest of their sizes in the world. The design with five delicate double spokes plays a crucial role in the even more direct and dynamic handling by reducing unsprung masses. 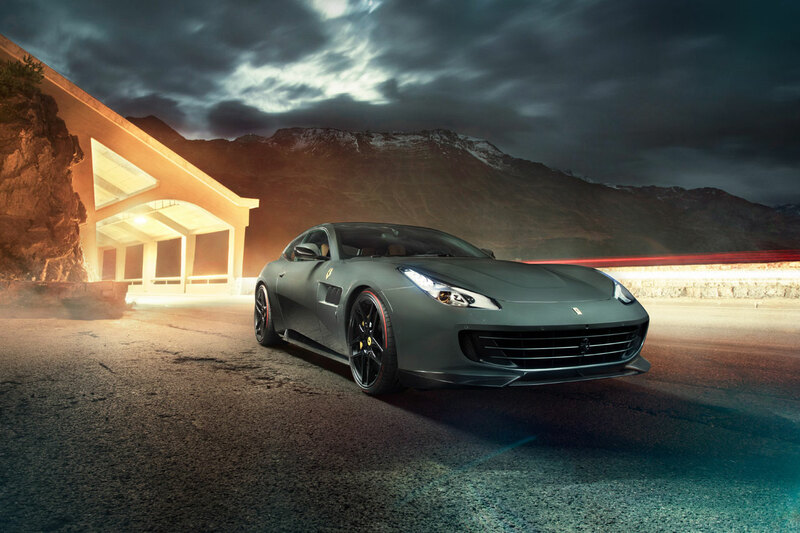 The NOVITEC NF4 9Jx21 rims at the front are fitted with high-performance tires of size 255/30 ZR 21. The size 12Jx22 rear wheels shod with size 315/25 ZR 22 tires provide maximum traction. 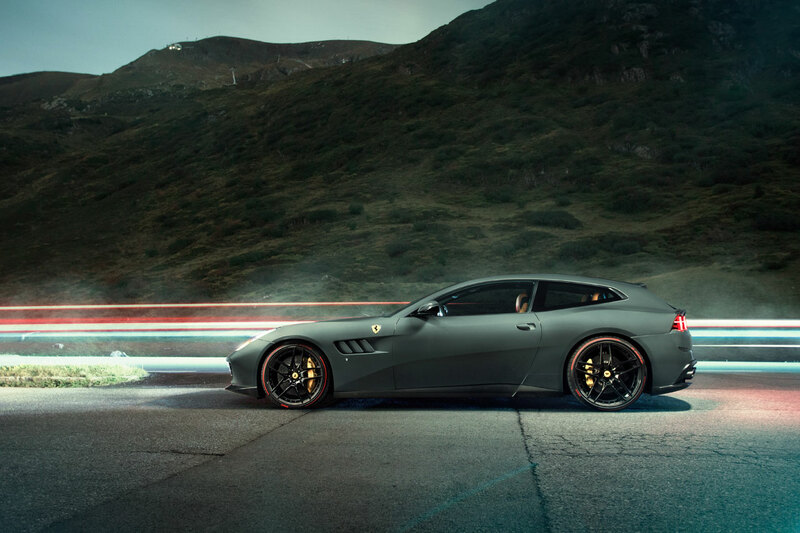 Alternatively, NOVITEC also offers three-piece NOVITEC NF7 alloys for the Ferrari in the combination of sizes 9Jx21 on the front axle and 12Jx22 in back. They use the same tires as the forged wheels. These rims likewise wow with their thrilling design that features five double spokes and outer flanges optionally available with a carboncoating to match the bodywork conversion. 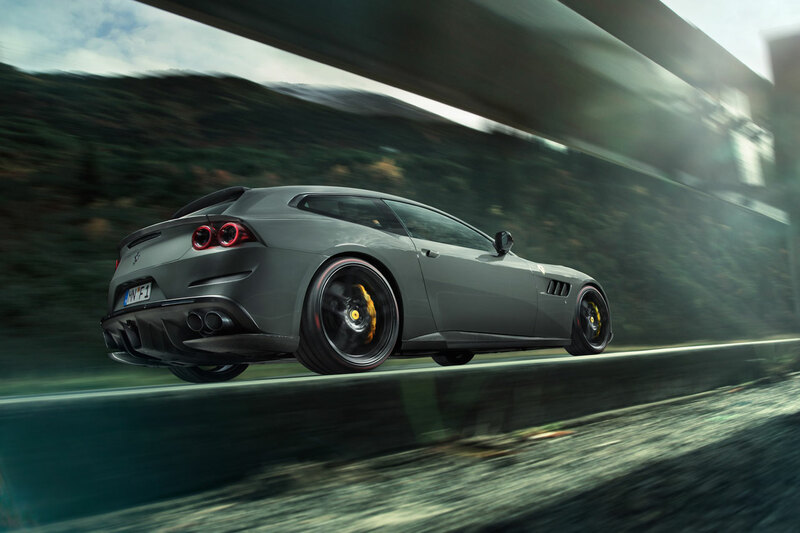 The NOVITEC sports springs lower the ride height of the Ferrari by up to 35 millimeters. The lowered center of gravity results in even more agile handling. 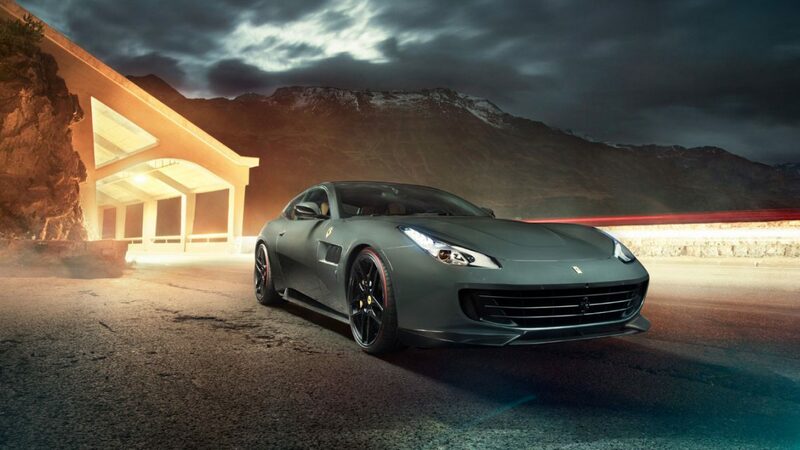 Another NOVITEC domain lies in powerful performance upgrades for Ferrari sportscars. 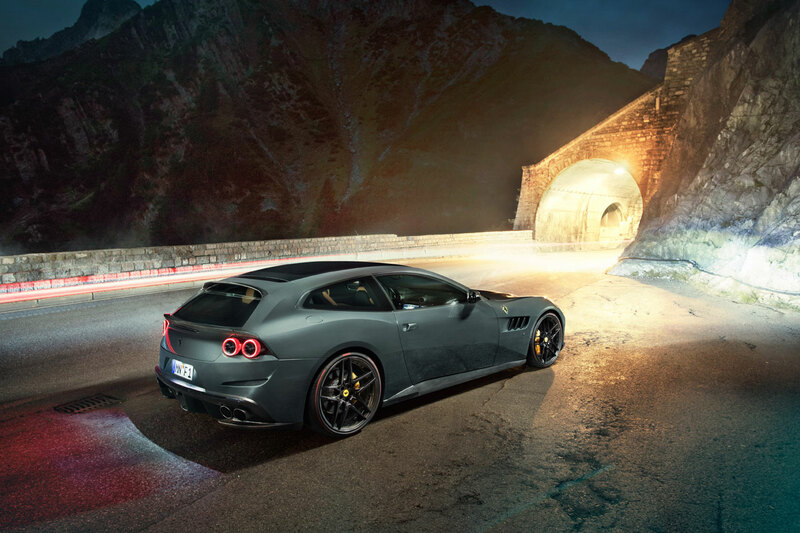 The GTC4Lusso T’s new 3.9-liter eight-cylinder engine with two turbochargers offers a great starting point for powerful tuning. 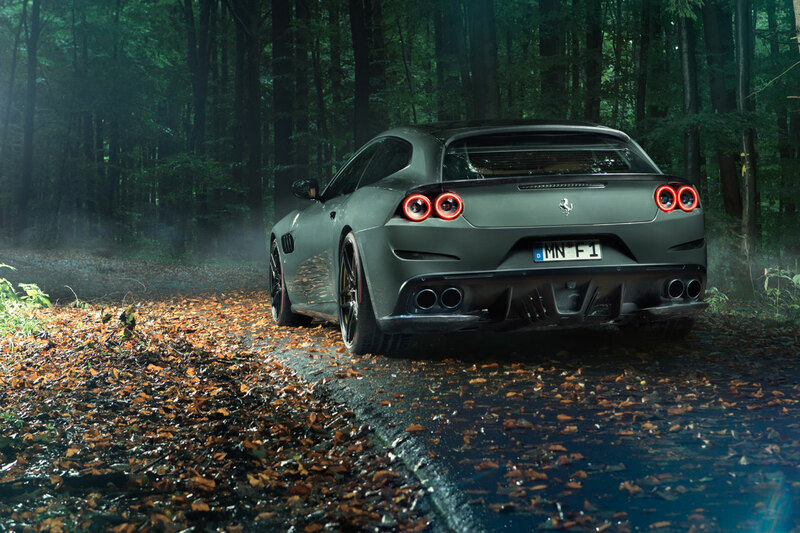 The NOVITEC engine specialists developed three performance kits for this engine, which unleash the true power lurking in this engine without infringing on its durability. The tuning specialists conducted extensive series of tests to develop special mapping for the two plug-and-play NOVITEC N-TRONIC modules, which are adapted to the electronic engine controlunit of the vehicle. The most powerful variant of the twin-turbo V8 puts out 72.8 kW / 99 hp more than the stock engine. It delivers 521 kW / 709 hp at 7,700 rpm and produces a peak torque of 882 Nm at a low 3,250 rpm, 122 Nm more than in production specification. This of course also benefits the performance: The tuned Gran Turismo goes from zero to 100 km/h in just 3.2 seconds. Top speed jumps to 325 km/h. On the road, the NOVITEC performance upgrade asserts its presence not only in the form of improved acceleration and speed but also in the form of even more immediate throttle response and even more powerful in-gear acceleration. 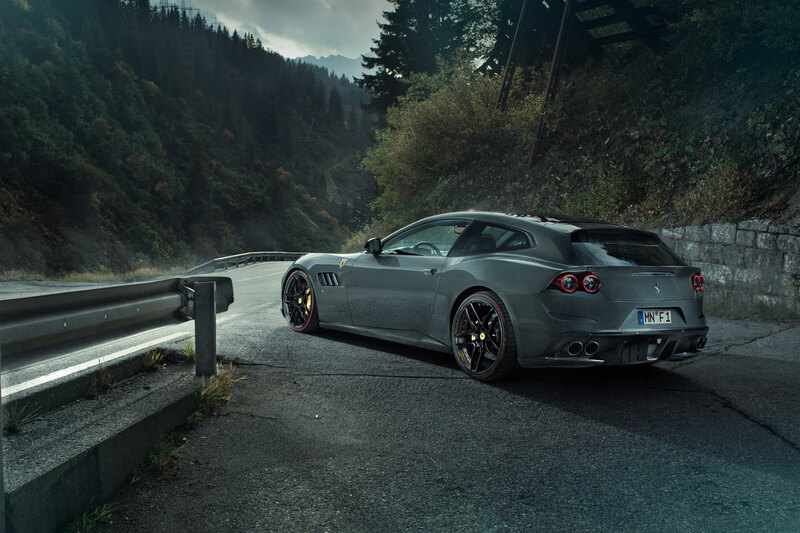 As an optimal complement to the engine tuning, NOVITEC offers high-performance exhaust systems for all GTC4Lusso models, all precisely calibrated to the different versions of the car. They produce not only a sportier exhaust note – optionally also with sound management by means of exhaust flap control – but also optimize the power delivery. 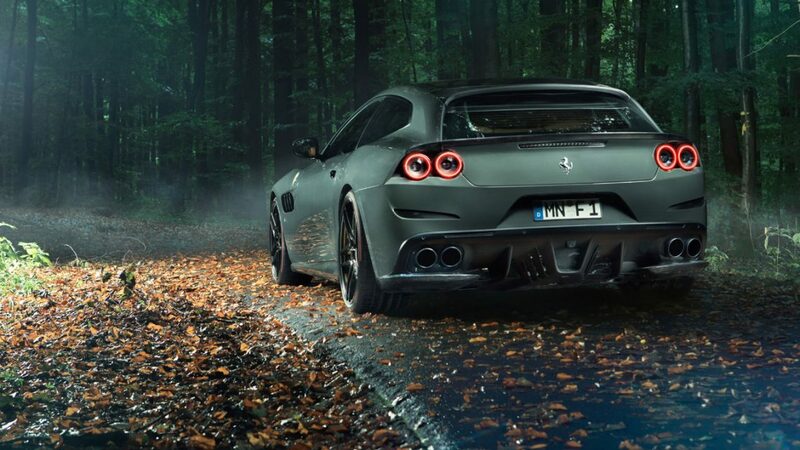 In addition, the NOVITEC exhaust systems save weight as well. The version made from INCONEL, a material used for exhaust systems in Formula 1 racing, weighs some eleven kilograms less than the production exhaust. NOVITEC also offers exclusive refinement for the cockpit of the Shooting Brake Coupe. The company uses the finest leather and Alcantara in virtually any desired color to craft the owner’s personal dream interior. Next post Top 10 down coats you need for winter!